The hotel experience of today has changed from what it was 10 years ago. When staying in a hotel you expect at least the level of technology you have at home, but more often than not, more. The ability to have great wi-fi, stream media, listen to music and control your climate and lighting are now almost standard in most hotel environments we create. If you are starting a new hotel project, or a refurbishment, we can help design the technology systems to give your clients a superior experience, whilst maintaining an energy efficient, cost effect solution for you, the owner. One of our major USP’s is our ability to offer solutions for not only the audio and video systems within a property, but also the security, data infrastructure, home cinema, lighting, heating, blinds and any access control or gate automation. Making us an in house solution for all the technology needs of a new project. One point of contact at the end of a project for any upgrades, maintenance, repairs, alterations etc, is a much simpler, quicker and more reliable system for all parties. We’re also members of CEDIA (Custom Electronics Design and Installation Association), giving you the added reassurance of industry approval in meeting the highest standards and expectations. 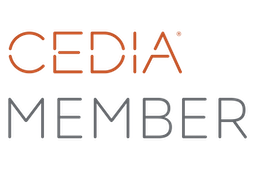 As a CEDIA member, Epixx have the ability to present a CPD to RIBA certified Architects, BIID Interior Designers, developers and builders. The CPD is on ‘Designing and Integrating Future Ready Homes’ and can be held at our own offices or we can present to you in your work environment. Hoteliers have called on our expertise at the planning stage across a huge range of projects over the years, to ensure the technology is incorporated as seamlessly as possible.